That an internship is a valuable opportunity for students to apply and hone the knowledge and skills acquired in the classroom, is well known. By working in a real work setting one can put to work all the knowledge learned in a classroom. Law internships, in particular, are the best way to gain real life experience in a law firm that in turn positions you well for your future career. Practical on-the-job experience under the mentorship and direction of experienced professionals is precisely what one needs. In law firms (litigation or corporate), responsibilities for legal interns differ among different firms. Some firms specialize in a particular type of litigation or corporate practice, while some have multiple practice areas. 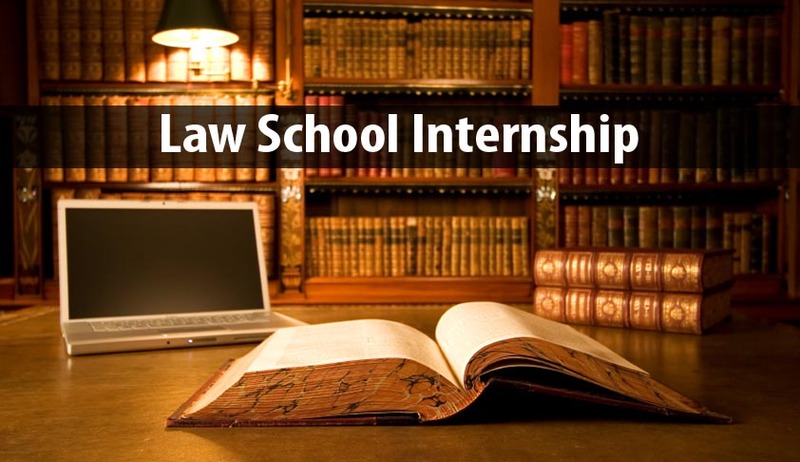 Regardless of the structure of the firms, an internship usually involves legal research and preparing documents under the direction of an assigned lawyer. You will get an opportunity to research emerging issues, observe courtroom activities, and participate in internal meetings of the organisation. Similarly, internships with independent, non-profit, research organisations are useful learning experience not only for real-life application of economic, political, and social theories and principles, but also for rehearsing the skills of research, analysis, and writing. Such stints will help you understand and investigate public policy issues therebybroadeningyour world view and career horizons. The true value of internship, paid or unpaid, lies in making contacts in the industry. In effect, it expands your network-a necessary compliment to a professional degree. Internships are a good place to network with legal professionals, who might be able to help you in the future. The network that you create now will improve your marketability in future. Meaningful internships add extra weight to the resume. An increasing number of firms are now exclusively recruiting for full time positions from their own batch of interns. While interning, one gets acquainted with some of the more mundane tasks, for instance those relating to the administrative side of the practice. Office management, tracking news and recent case laws, filing documents can be a part of the assigned responsibilities of an intern. Although these tasks appear to be tedious and non- critical, they are effective in learning more about how the practice of law operates on a day to day basis. Internships with Senior Advocates (in the Supreme Court or in High Courts) are an eye opener as far as the nitty-gritty of litigation practice is concerned. As an intern, you will be expected to assist the junior advocates (if any) in the matters/cases assigned to them. The research work involved is varied. Some days you may have to research on constitutional law issues, while on another day you may be assigned work on labour laws! Interns may also be required to accompany the Senior to the Courts on the days the assigned matters are due for hearing. Here the amount of work for an intern can be staggering with no stipend, but on the bright side, it is here that you will gain practical, hands on experience with regard to the functioning of the courts. Internship positions in law firms, both litigation firms and transactional firms, are easily the most sought after. A stint with law firms gives you invaluable experience in legal research; drafting; preparing legal views and opinions etc. More importantly, they provide an opportunity to increase the knowledge base of substantive areas of law, and gain exposure to a real work environment. Internship programmes of big tier A law firms aim at integration of the interns within the firm and so quite obviously interns are expected to work as a team. These firms also monitor the progress of the intern during the internship and prefer to induct fourth or fifth year students so that offers and placements can be made.Internship positions are offered depending upon vacancies and the meritorious competence of the student. Be prepared to work hard and sometimes late. Once you are assigned work of urgent nature, you will be expected to work till you finish the task and the time will not matter. Some law firms might pay a nominal stipend for the internship, but this is not the norm. Internships with the Tier A law firms has become fiercely competitive. Be prepared to apply to numerous firms and pursue them diligently, to gain an entry! Research organisations linked to law have opened up a world of opportunities not explored hitherto. Typically, there are two types of research organisations, viz., public policy think-tanks; and legislative research organisations. Public policy think-tanks essentially host researchers and academicians, who are engaged in studying issues in diverse areas, viz., governance, law and order, economic policy, social welfare etc. One such prominent think tank is the Centre for Civil Society. It is an independent, non-profit, research organisation devoted to improving the quality of life for citizens by reinvigorating civil society. The Society’s internship programme offers students an opportunity to whet their researching and writing skills and delve into social, economic and political spaces. The programme also encourages students to understand, analyse and investigate public policy issues.Organisations in the field of legislative research are involved in the law making processes. For instance, Centre for Legislative Research and Advocacy (CLRA), an independent, not-for-profit initiative. Through research, advocacy, networking and other allied activities, CLRA seeks to promote and reinforce the parliamentary institutions. It offers students internship work with Members of Parliament which gives an opportunity to draft legislative briefs besides gaining valuable experience in an exclusive domain of practical research. Non-government Organisations (NGOs) work in urban, rural and tribal areas on diverse issues such as education, health, gender, child welfare, rural development, urban poverty, to name a few. These organizations benefit the society through judicial and social tools. Working with NGOs can be a life changing experience. They provide unique opportunities to those who want to make a contribution to the social fabric. NGOs are always in need of volunteers, while interns can gain considerable personal development besides a rewarding experience unique to this area of work. An internship will also give you a chance to observe the legal and administrative rigmarole and the operation of public interest litigation system. Better still, you may get an opportunity to make field trips. A word of caution- barring a few, the majority of internship programs with NGOs are unpaid. There was a time when Indian students would envy graduates in USA who could opt for programs like “White House internships”. But slowly that might be changing. Indian Government organizations are beginning to give importance to engaging student community and exposing them to organization work and activities in the form of an internship. For instance, the Finance Ministry in 2010 inducted students on an internship program to prepare the background work associated with the introduction of Goods and Services Tax (GST). The program was aimed to benefit not only the Revenue Department, but also the students by familiarising them with a milestone in modern India’s tax regime after indirect tax reform. Government bodies and commissions which are involved in dealing with specific issues, also offer internship opportunities. Competition Commission of India (CCI) had initiated internship training programme way back in 2005 to familiarize students from Law, Economics, Management, and Finance about the Competition Law and to impart training on competition and related issues. The interns were required to write a paper on competition related themes/issues arising out of the Competition Act, 2002 and of relevance to the Commission. To gain insight into the bureaucratic processes, internship in an organisation like Law Commission of India is helpful. An internship with the Law Commission typically involves researching on a particular topic which is to be submitted in the form of a research paper at the end of the study. For those of you who are keen on human rights and legal aid, a stint with the National Human Rights Commission (NHRC) would be a fruitful experience. NHRC regularly enlists interns to participate in its research work, which is directed to ascertain ground realities, build data-bases, etc., as well as to set up networks across the country. You can opt for NHRC’s summer or winter internships, wherein you may be asked to review a book, or, prepare a presentation on human rights violation, or prepare and present a paper on an assigned topic, etc. Judicial internships at the Supreme Court and High Courts are highly valued.Such a stint will familiarize you with the cutting edge issues being faced by the judiciary. In the field of litigation, the depth of this experience cannot be found in any other avenue. Bear in mind that a large number of candidates apply for these internships. The selection process too takes time, and so patience is the key! In order to secure a Judicial Internship, your institution/college should be on the “approved list” of the Court registry. Notably, the National Judicial Academy of India offers both full time and part time internships to students of 5 year LL. B programmes. The interns participate in a variety of activities, including research, writing, organizing conferences and seminars, etc. For those looking for a career beyond practice of law, an exciting new avenue has emerged and is growing in the form of legal journalism. Although in India it is still evolving, but since it is a road less travelled, the opportunities are immense. In today’s dynamic legal environment, all the constituents of the legal landscape- law firms, LPOs, in-house counsels, judges, legal academicians- are in tune with the legal developments across the country and around the world. If you have a flair for writing and are inclined towards journalism per se, then this is the field for you. As a legal journalist you will be involved in coverage of legal news, interviews with legal luminaries, writing columns and articles on the major issues facing the law, and tracking the profiles of and developments in law firms/LPOs, companies, amongst others. Portals and print journals which are purely into legal journalism may not be plenty, but if you have the passion for it, then explore it. Most online resources and print journals encourage students to undertake internships. The work can be varied and interesting, ranging from researching and collating various statistics of law schools to networking, and covering news about legal developments. Besides giving you an insight into the way legal journalists function, internships also improve writing and research skills. You might also get an opportunity to write articles independently and get them published. Legal publishing is a career option for those who are keen on editing, research and writing. And above all, want to strike a work life balance. If being a part of the cut throat culture of law firms does not appeal your sensibility or temperament, then this field is an option for you. There are now several Indian and international law publishing houses in India and most of them have an Editorial department. Besides, legal portals have also entered the Indian legal landscape, increasing opportunities in this field. But remember that legal publishing is not financially rewarding and the growth pattern is nowhere near a career in law firm or even independent practice.The publishing house and/or legal portals offer internships to students who are pursuing or have received their Bachelor's degree in law. The period of the internship varies and usually requires the student to have excellent editing and writing skills. This stint helps in strengthening the editorial capabilities of the students and expertise in legal writing; researching for articles; headnoting of cases. Richa Kachhwaha is the Managing Editor at Live Law. Richa holds an LLM from London School of Economics and is a qualified Solicitor in England & Wales.